Gambling operator MGM Resorts International has opened a career center in Springfield, Massachusetts, seeking employees for its $950-plus-million gambling resort currently under development in the heart of the city. The Las Vegas-based company was granted a license to develop a hotel and casino complex several years ago, when Massachusetts voters approved the construction of commercial casinos within the state’s borders. Wynn Resorts, another Las Vegas headquartered gambling giant, is also building an integrated resort in Massachusetts. MGM Springfield is slated to open doors in September 2018, and the operator has been gearing up for the opening by ramping up construction activity and starting its quest for future employees. According to the most recent information provided by MGM Resorts, construction is progressing as scheduled and they will be able to complete the complex on time. MGM Springfield was initially expected to be launched a bit earlier but challenges related to its design and the delayed completion of nearby infrastructure eventually forced developers to choose a later date for a ribbon-cutting ceremony. Under the terms of its license from Massachusetts regulators, MGM Resorts will have to make sure that at least 35% of its workforce at its casino resort is represented by Springfield residents. What is more, 90% of all employees will have to be from around the region. 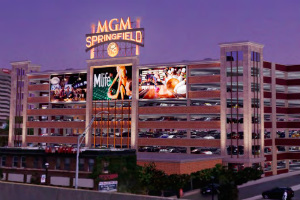 The gambling operator has previously pointed out that MGM Springfield would create 3,000 jobs. At present, interested people could visit the newly opened downtown city career center. The center features a computerized lab and interview rooms. In addition, job seekers could find around 250 job descriptions online. Being scheduled to open doors in September 2018, MGM Springfield will actually be the state’s first full-scale commercial casino property. Wynn Boston Harbor, which is currently under development in the Greater Boston area, is planned to be launched in the summer of 2019. MGM Springfield will feature a 125,000-square-foot gaming floor, a six-story hotel, and a number of food and beverage, entertainment, and dining facilities, among others. MGM Resorts has announced recently that it would add more poker tables at its casino floor than originally planned. 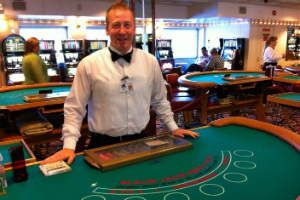 According to the casino operator, table games have been making “a bit of a comeback” and have regained popularity among players. Last year, MGM Resorts launched MGM National Harbor in Maryland. Based on the behavior of the patrons at the casino floor of the aforementioned resort, the gambling company found out that poker and table games, as a whole, were favored by millennials over slot machines. And gambling operators and providers of both software and hardware for the industry have been looking for ways to attract the attention of that particular demographic as it is set to turn into the main gambling cohort in near future. MGM Springfield is set to feature 23 poker tables at its casino floor, up from the previously planned 16 such tables.